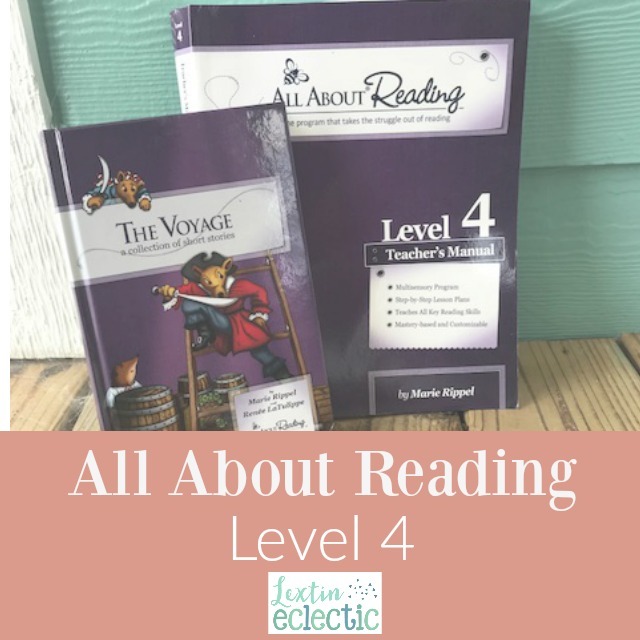 I’ve gotten a lot of questions about Level 4 of our very favorite reading program. Is it necessary? Do kids need to complete this level? What if a child has really started to read independently after finishing Level 3? Should you continue to the next level or just read real books? Well, now that I’m well into teaching Level 4 to two of my children, I have an answer. Yes, I think this level is necessary. After seeing the content, I can say without hesitation that I’m so thankful that I chose to continue with this level rather than turn my kids loose with real books. Of course, they read independently and have tons of literature that they read on their own. However, this level has been the final piece in helping them decode those challenging words. This level teaches lesser known phonogram teams and spelling rules. My kids have learned about the “gu” team that says /g/. They’re learning about prefixes and suffixes and how to break down a word into smaller parts to be able to read fluently. They’re learning words that English has borrowed from other languages and learning what pronunciation rules they follow. Most importantly, it’s given them the confidence to attack some challenging words and be able to read and pronounce them correctly. Oh, and it’s given their spelling abilities a huge boost. So, now that I’ve been teaching this level with two children, I can see the value in teaching all the way through the program rather than skipping over this level. And just in case you were wondering, I’m using it with a struggling reader and a reader who would probably be considered fluent by others. My struggling reader has needed the practice with multisyllabic words and the emphasis on the different lesser used phonograms. He has needed the extra practice and support that learning these spelling rules has given him. He has been my “word guesser.” He would rather just guess at a word than try to sound it out fully. Level 4 is giving him the skills to continue to break words down and sound them out successfully. He would not be a fluent reader without completing this level. And as for my fluent reader? After completing Level 3 her reading ability began to soar. She can know read just about anything you put in front of her. However, I still find Level 4 to be valuable for her as well. There are a few phonograms that have given her trouble. Now that she has learned the correct sounds and when those sounds are used, she is able to read with more confidence. She is now reading far above her level and her skills only continue to improve. I am glad I did not skip Level 4 with her even though she is a strong reader. I think I’m most excited about the spelling improvement I’ve seen in both of my kids. Neither of them are strong spellers, but since working through All About Reading and All About Spelling at the same time, I’ve seen a big improvement in their abilities. They are starting to attack words in a logical way, see the different sounds, and put words together correctly. So, don’t skip Level 4 even if your child is reading well. You’ll see a marked improvement in their reading ability while going through this program. And when they’re done, they’ll be able to read and understand high school level literature and above.